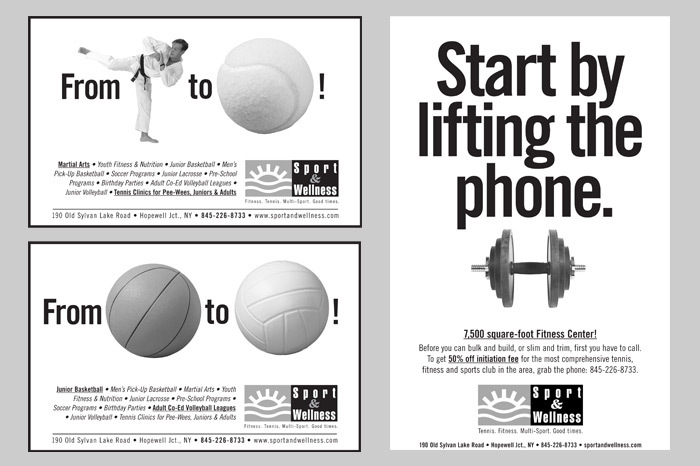 What’s great about Sport & Wellness in Hopewell Junction, NY is their amazing variety of sports activities for the whole family. The place is enormous, the budget was not. So we utilized small-space newspaper ads on a regular basis to establish the name, then added radio for support. The small ads needed to stand out in the retail clutter. They did.